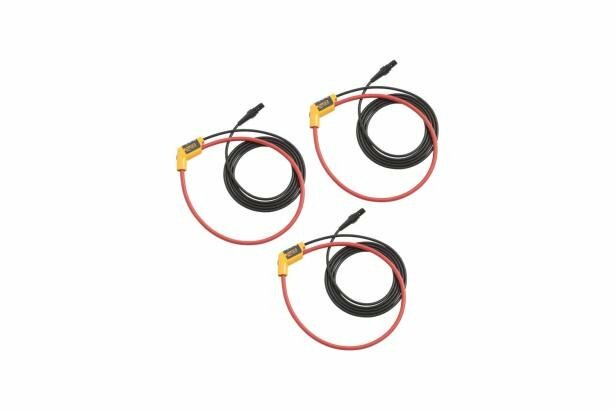 The Fluke 1730 Energy Logger 24 inch iFlex® flexible current probes expand the measurement range of the Fluke 1730 to 3000 A ac while providing the ultimate measurement flexibility. The iFlex® probes connect directly to the energy logger, displaying current measurements without error prone scaling factors. The 1.8 m (6 ft) cord allows separation between the measurement location and the energy logger making it easier to view the display. Fluke 1730 Energy Logger iFlex® cables are available in 12, 24, and 36 inch.